People say warmed sake is best in cold seasons and also even in summer. They have become completely familiar with warmed sake. 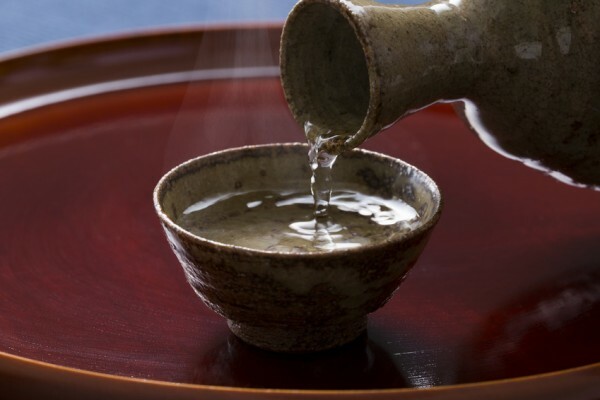 Recently, sake warmed and steamed in a steamer is also booming. We drink warmed sake to warm ourselves, just like people of the past. In the Edo period (1603-1868) when a sake bottle called tokkuri was produced to warm sake, warmed sake seemed to be popular. At the time when rice polishing techniques were not fully advanced yet, warmed sake seemed to taste much better, and just like this, even now when rice is less polished, warmed sake tastes much better. In those days when warmed sake was popular, there were no refrigerators. On the other hand, unwarmed sake and also room temperature were called “hiya”. Because of this, in modern days, cooled sake is called “reishu”, but some people mistakenly call it “hiya” since we now have the word “jo-on” meaning room temperature. Certainly this is a mistake, but words are living. In the U.S. and U.K., sake used to mean warmed sake, and beer served as a chaser. This was the time when ginjoshu was not popular, but now when a 4-go bottle (720ml) is ordered, it is often cooled in a wine cooler before being served. Yet, warmed sake plus beer seems to be surviving. Sake goes well with various dishes, but when warmed, it gives you a good appetite.